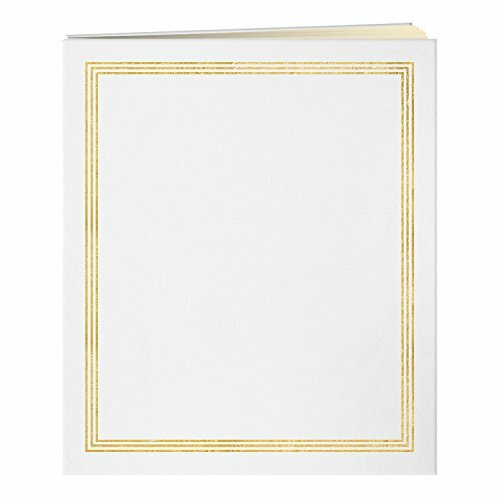 This leatherette cover scrapbook features gold stamping. It contains 100 jumbo 11.75 x 14 inch buff (beige) color paper pages (50 sheets) and is ideal for larger memorabilia. Its screw post binding expands to accept unlimited refills (Style No. SJ-50R). Side loading, clear plastic slip-on sheet protectors are also available (Style No. 1-SJP). A great keepsake for celebration, special occassion, anniversary, wedding, bar/bat mitzvah, quinceanera, birthday party, event photos and more. Archival, photo safe: acid and PVC free.